Here are a few of the K-Pop facts and statistics I was able to dig up. As always, be sure to check back in the future as I will be updating this post as new and updated stats become available. K-Pop (Korean Popular Music) is a form of modern music in South Korea that infuses American pop music sounds with Korean culture. The various bands in the genre have amassed fanatical followings first domestically but spreading globally over the past few years. Although its roots go back much further, it is generally accepted that K-Pop began in 1992 with the emergence of Seo Taiji and Boys. What was the first K-Pop hit single? K-Pop artist Psy has the first music video (Gangnam Style) to hit 1 billion views on YouTube. 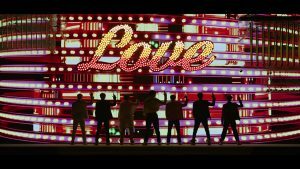 BTS’ “Boy With Luv” has the record for the most video views in the first 24 hours on YouTube (78 million views). BTS had 2 of the 3 selling albums in the world in 2018.